Sunday 15th April 2012, 7pm. And finally... a little something for the new season, we introduce our annual fashion masterclass weekend - StitchLab. We’ve invited teams of participants from each fitting of The Stitch Lounge to collaborate with a muse. Each muse has been drawn from the fields of science or technology. Teams will produce catwalk ready ensembles for or inspired by them. They will have just one weekend and only the materials and machines provided. 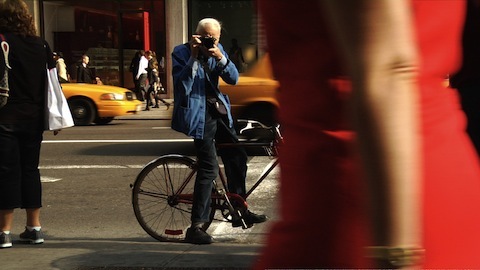 Join us at LateLab for catwalk and cocktails and an extra special screening of 'Bill Cunningham New York', a cinematic profile of the noted veteran photographer revealing his remarkable passion for faith and fashion.